Bob's experience includes being past President of the Young Council of Realtors and a former Director of the Atlanta Commercial Board of Realtors. Bob is also a supporter, volunteer, and current Board Member and past Chairman of the Board of the Atlanta Ronald McDonald Houses. He is an active church member at Peachtree Road United Methodist Church, assisting with the Children’s Music Program. Jeff Kelley has over 23 years of experience as a real estate professional specializing in office tenant representation. As an industry leader, he is well versed the real estate market and actively studies fluctuating trends. From negotiating optimal commercial leases to finding off-market building opportunities, Mr. Kelley has the knowledge and skills to deliver ideal outcomes to his clients. Mr. Kelley is an established professional in all aspects of the tenant representation process including financial analysis, workplace studies, construction management, lease negotiations, and build-to-suit projects. Drew advises local, regional, and national office tenants on their corporate real estate needs. He specializes in financial evaluation and modeling as well as strategic decision analysis. Drew started his real estate career in 2003 with Harry Norman Realtors. He has held analytical positions at the InterContinental Hotels Group and the West Paces Hotel Group, as well as a project management role at CoreNet Global. 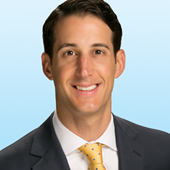 Drew joined Colliers International in 2011. 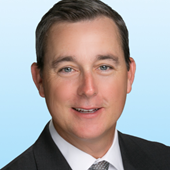 During his 20-year career with Colliers International, Pete’s sole focus has been to deliver best-in-class commercial real estate services to his clients. Pete is an integral part of Colliers International - Atlanta’s Office Services group, specializing in tenant representation. He advises tenants in complex lease restructures, relocations, new construction, and purchase opportunities throughout Atlanta and across the United States. His success is due to his clients’ loyalty- many of Pete’s clients have been with him since he started in the commercial real estate business in 1997. He has extensive experience working with his clients’ senior leaders to drive project consensus and streamline decisions. Pete’s ability to work in partnership with his clients to help deliver their business objectives, financial goals, and operational needs set him apart in the industry.